Mt. 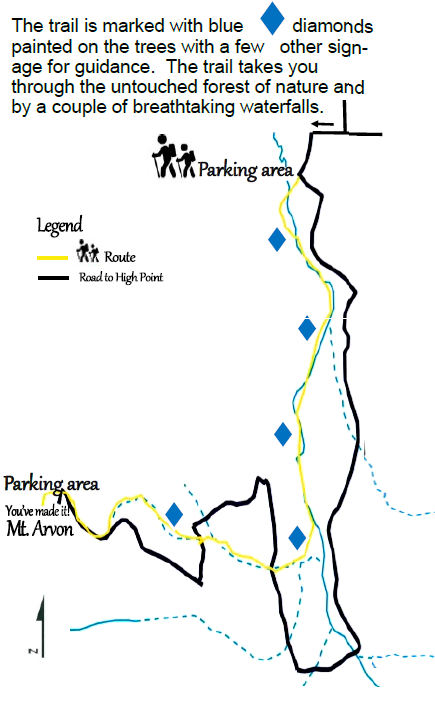 Arvon is Michigan’s highest point standing at 1,979.238 feet above sea level. 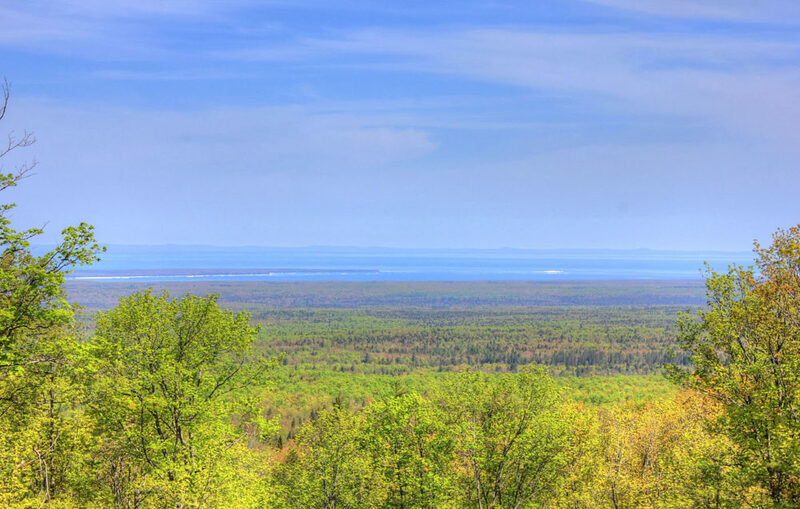 It is located in the rugged backwoods of Michigan’s Upper Peninsula in beautiful Baraga County, approx. 27 driving miles from L‘Anse, Michigan. A 1/2 of a mile from the top there is a is a beaver pond that you have to check for Moose. During the rainy season, the roads become muddy and are often unfit for passenger cars. In 2017 the hiking trail to the top of Mt. Arvon was created by a couple of avid hikers. Thanks to Weyerhaeuser (the landowner) you now can drive within 2 miles from the top and hike the rest! 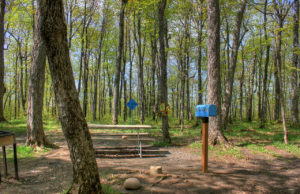 The trail is marked with blue diamonds painted on the trees with a few other sign-age for guidance. The trail takes you through the untouched forest of nature and by a couple of breathtaking waterfalls. Approach: From the intersection of US Hwy 41 and Broad Street (by the welcome to L’Anse sign) in L’Anse, proceed north into L’Anse on Broad Street for 0.7 miles to Main Street. Turn right on Main Street which will become the Skanee Road, and continue 16.1 miles to Roland Lake Road on the right, where the Zion Lutheran Church is on the SE corner. Turn right on Roland Lake Road and proceed 2.9 miles to Ravine River Road you will see Roland Lake (see map at right for a detailed description). Turn right on Ravine River Road and continue 6.1 miles to T-intersection. From this point you turn right and you are 2 miles from the parking lot. From the T intersection at 6.3 miles fork, go left; 6.4 miles, steep incline at this point, fork, go right; 6.8 miles, fork, go right 7.2 miles go to right. Continue on for 1/2 mile to the graveled parking lot. There are many less well-developed roads in the Ravine River Road area. Please follow the blue signs that mark the way to the top. Unless indicated below, stay on the obvious “main track” as you proceed along Ra-vine River Road. The route on Ravine River Road is as follows: (at this point reset the odometer). At this point there is a parking lot and a short walk to the summit. A USGS benchmark and mailbox containing a register will be found on the summit. Return down the mountain the same way.